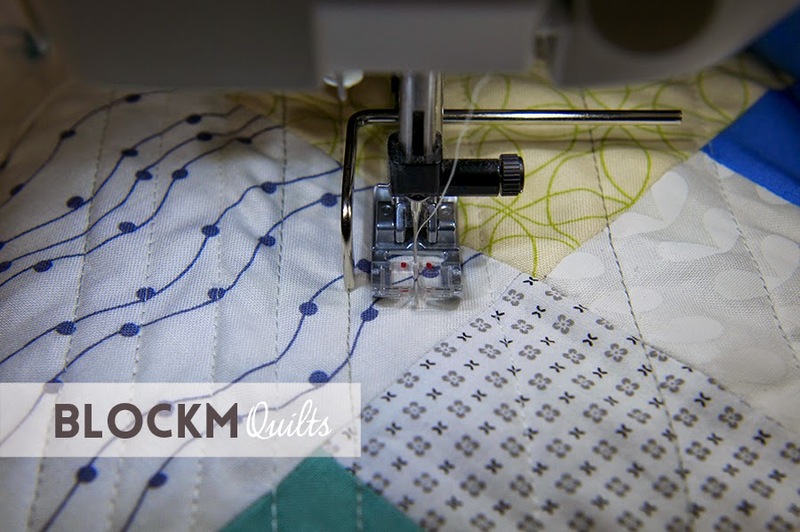 As promised I'll share the 'making of' my Plus One Quilt today in another QuiP post. This Quip should have actually been posted before the post of the finished quilt but I was so excited about it that I couldn't wait. 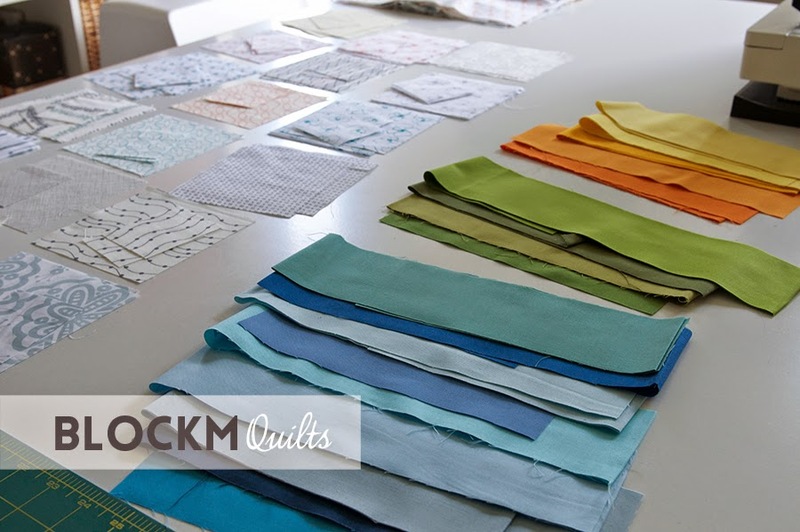 Selecting fabrics. I happen to collect a lot of low volume fabrics and they all seem to go very well with blues, greens and yellows and oranges. 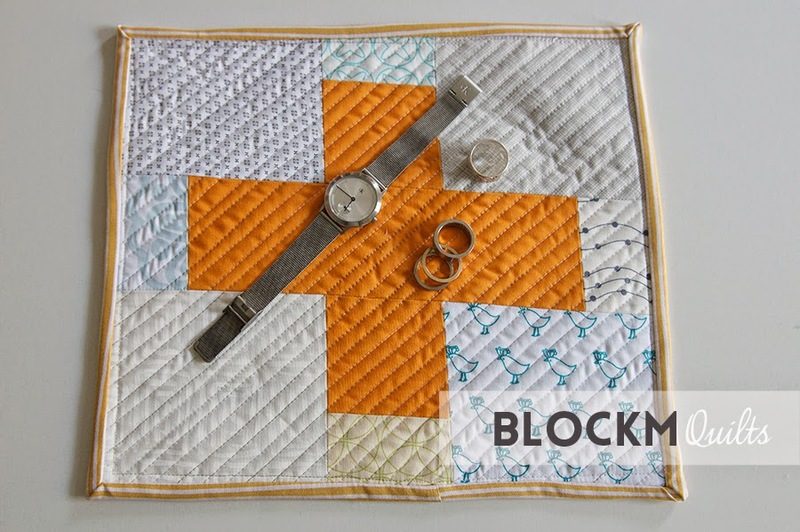 I found a plus block tutorial with a lot of 3/4'' dimensions and that made me crazy... growing up and being used to metric dimensions that was not for me. Ultimately the first block went wrong. I found another tutorial with full or half inches and that worked better. But even though the block was hopelessly wonky I thought I'll keep it anyway and make a rug out of it for my jewelry at the bedside table. The only good thing was it taught me a lesson. - If you follow a tutorial, follow the tutorial. - Be precise, don't rush. With the other blocks I was really careful and they turned out to be really nice and square. I knew I had to do something with the quilting, even though it's 'only' straight lines there is so much to it! 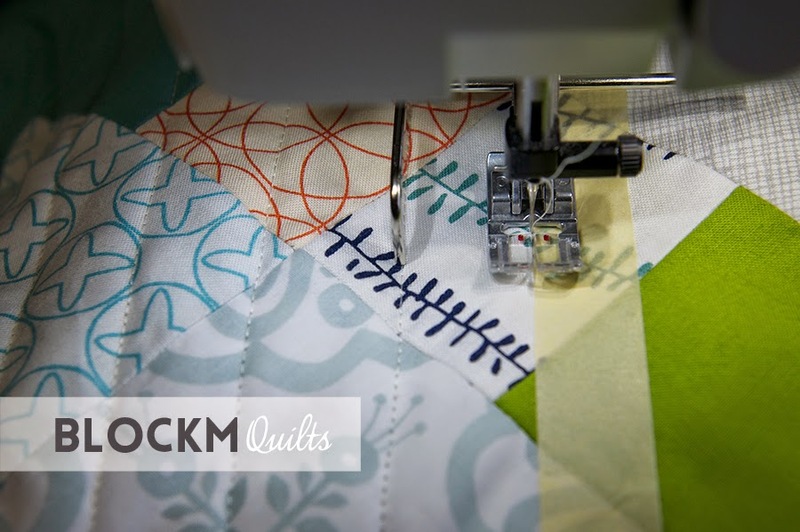 I am on Craftsy and I joined the new class by Jacquie Gering 'Creative quilting with your walking foot' which is excellent and very helpful. But she also has this tutorial on her blog. So I taped the entire quilt and started quilting. Nice and slow, always checking if I was still on track. Using the little bar attached to the sewing machine really helped, but without the control measuring I would have been hopelessly off. I quilted the lines every 1/2 inch apart because in fairness the lines were sometimes still off by almost 1/4 inch or even more. But I am so happy how it turned out! As for the jewelry rug: reminds me every day that mistakes can only make you better! Linking this to WIP Wednesday at Freshly Pieced and Sew Cute Tuesday! Thank you so much, Linda! There is indeed more to the straight lines than I thought. And I really like the rug despite it's wonkyness! Nice finish! I love that you also posted the block where it all went wrong! Lovely work. I've only ever done hand quilting. Thanks for the link to the tutorial. Oh, I have never done hand quilting... and I doubt I ever will. I don't trust my hand sewing! Thanks Angie, keep practicing, it only gets better! Well if 3/4 inch makes you crazy, then don't even try 15/16 of an inch! Having grown up using inches I know first hand that it does not always make sense, and I realize it even more now that I have to work with cm and meters! Great tip with the tape. 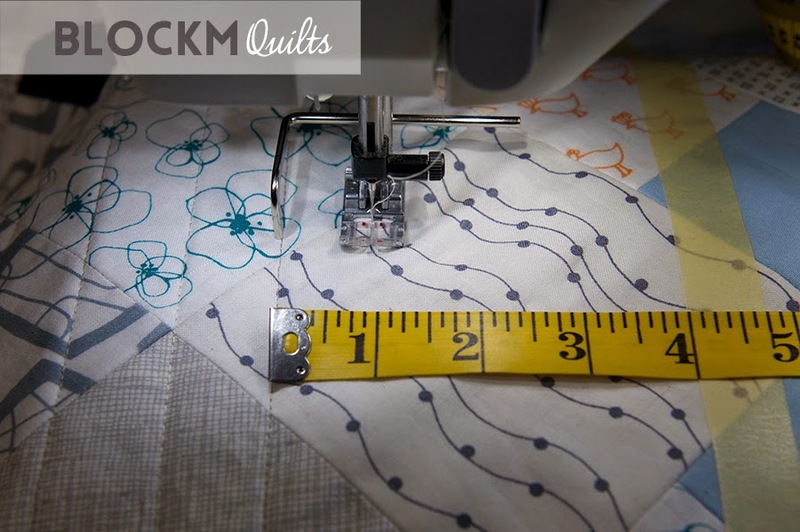 This might be really helpful to me for a quilt that I hope to quilt soon. Beautiful finish! Schöne Grüße von ein Ami in Deutschland! Thanks Allison! I stick with the full and half inches! But funnily enough I can't work with cm when sewing quilts. Possibly because of all the US books I have and tutorials I see online, they're all in inches. Wow, yur quilt is a beauty!!!! I love it and the fabrics combine so well. Thanks for your link. For a beginner it is helpful. Dank u wel, Maartje! I can highly recommend the Craftsy class as well! Greetings back to lovely Amsterdam! 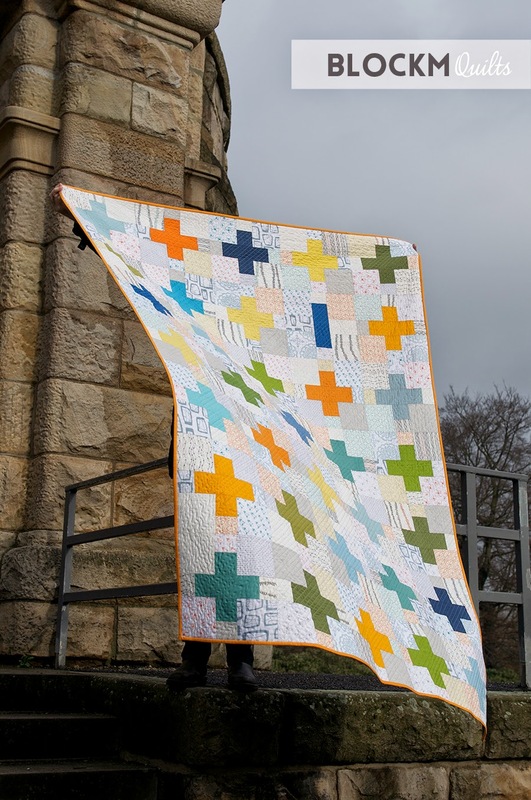 Love the story behind it and the quilt looks great! The last pic is fun to watch, too. Thanks, Melanie! It was quite windy that day, my husband did a good job though! Liebe Grüße an die Waterkant! 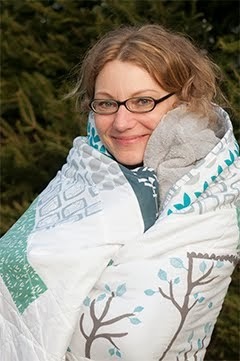 Oh I really love the quilt too!! How fun to see all these in progress photos! You have so many colorful, beautiful low volumes!! I have never used tape for quilting before. I have always just used a pencil and ruler, in the same manner as the tape, marking the lines before basting, usually. 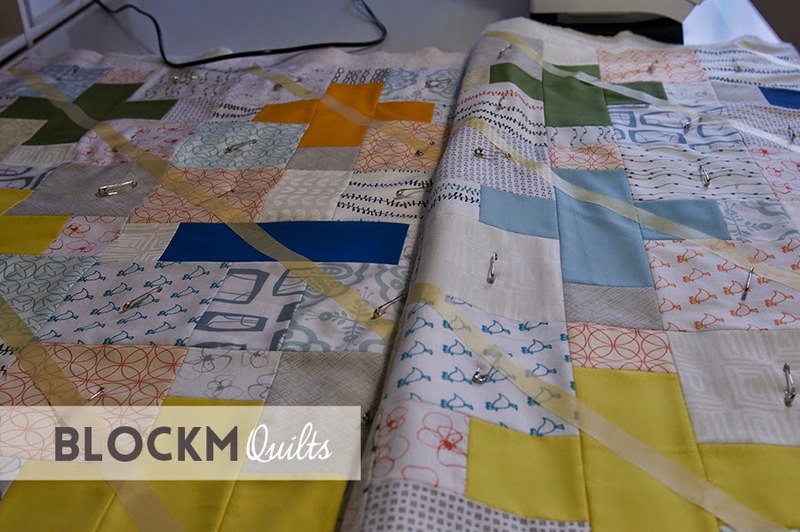 I love love this quilt! Your eye for color and design are always spot on in my book! Thank you so much, Sarah! The tape works really well for me. I love the quilt too! Hallo, you saved my day. Bin gerade dabei ein Babyquilt zu quilten und meine Linien sind nicht so wie sie sein sollten. Jetzt werde ich nochmal alles aufmachen und von neuem beginnen. Ich hoffe nur das Tape hinterlässt keine Spuren.